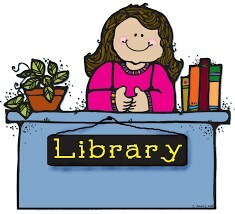 Your child will visit the Media Center every week and have the opportunity to learn about various forms of information. Our Kindergarten through 2nd grade students will learn all about books both fiction and non-fiction. They will also have the opportunity to explore books, games, blocks, and technology through centers. The 3rd through 6th grade students will be able to engage in projects that are aligned to learning from their core classes. Students will also have the opportunity to check out books each week. Please remember that books are due the next week. If your child is not finished with their book they should still bring it back in to renew the book. I look forward to seeing all of you in the Media Center! Click on the link below to learn more about the librarian! !